SMS texting is a highly targeted and cost effective way of reaching out to customers through a text message written from your PC to your customers’ cellphones concerning your products or services. Compared to the email and the social media, SMS texting is more effective in reaching out to clients. It is therefore paramount that entrepreneurs gained a comprehensive understanding of SMS in order to optimize its use. To start with, an increasing number of people own a cell phone. The good thing is that in all likelihood, the number of cellphone users is going to increase. Second, cellphone users have more engagement with SMS than in any other use. In fact, quite a number of people have a cellphone with them except when asleep. Third, most cellphone users have programmed the phone in a way that they know when they receive a text message. The advantage with this is that most of the messages are read instantly. The nature of a text message is that it demands attention even when one is busy. Fourth, text messaging is an opt-in service. What this means is that clients sign up for such services. By implication, such clients have already invested in your brand. Another great advantage with the opt-in service is that one does not waste time on customers that are not interested in your products and services. In other words, the target audience has already been identified. Another advantage is that one is guaranteed that the message will be read. There are very rare cases where a message does not reach its recipient. Fifth, SMS is a form of narrowcasting marketing, which means sending the message and sharing your content with a more selective but more meaningful audience. It is about building relationships with the relevant groups. It is important to ensure that you message is actually being read, not just received. 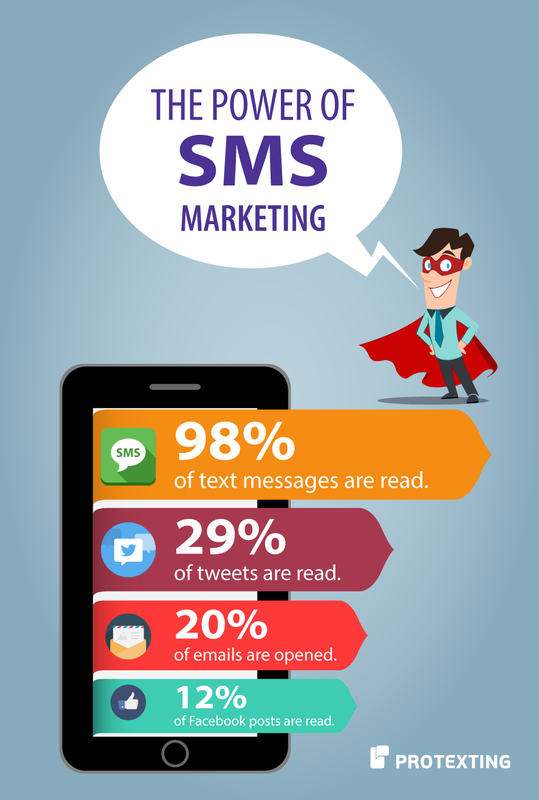 As stated above, SMS messages have 89% open rate, compare to 29% read rate of twitter, 20% open rate of e-mails and 12% read rate of Facebook posts. Sixth, the brevity of a text message saves time and is convenient to both the marketer and the client. Emails can carry lengthy promotions. However, the fact is that some clients do not even read such lengthy promotions in the first place because they are long and boring. Unlike telephone calls, a text message can be read at the convenience of the client. Lastly, marketing through text messaging carries a higher chance of conversion than in the other marketing channels. A recent market survey showed that SMS coupons are ten times more likely to be redeemed and shared than mail or newspaper coupons. Planning an SMS marketing campaign should involve a fan and engaging strategy. One should be careful not to be intrusive or become insensitive to the privacy of the client. For example, a company that sends too many text messages to its clients may suffer from a bad reputation. Similarly, using a decent language of communication will promote your brand. 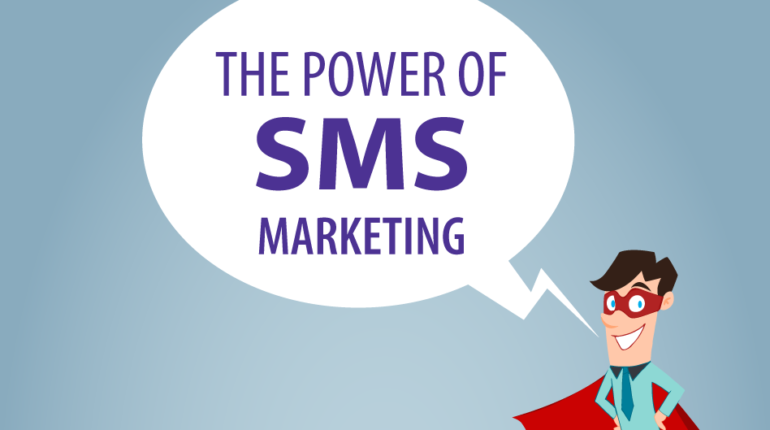 Overall, SMS texting is indispensable for the growth and expansion of a business.